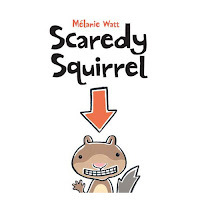 Now I hope this amuses you all because I interviewed Scaredy Squirrel!!!!!!!!!!!!!!!!!!!!!!!!!!!!!!!!! So here it is! Recent adventures/mishaps: Going to the beach, going to sleep, going into the unknown, and finding a dog to "play with"
Q: Do you think that every squirrel should be as cautious as you? A: Yes. I do think so. They should because a lot of those things could lead to starvation, like bunnies they eat your vegetables so you can't. Q: Do you have any family members that come to your tree? Q (from 4 YO sister): Are you at Disney World? A: No, I'm not. But that would be very cool. Q (from ?? YO aunt): Do you have any favorite books? A: Well I don't get to buying books very often so I write my own books. 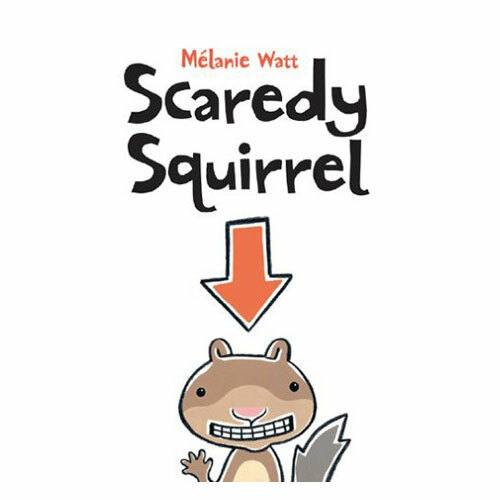 My favorite out of those is How to be as Cautious as Scaredy Squirrel. Q: Do you think that the world will end in 2012? If this amuses you please don't delay to go buy the books (Hint hint there are four). Anyways the first one is called Scaredy Squirrel followed up by Scaredy Squirrel Makes a Friend, Scaredy Squirrel At Night, and Scaredy Squirrel at the Beach. All of them are by Mélanie Watt. Also by Mélanie Watt: Chester, Chester's Back and many others. FYI: I don't know Scaredy Squirrel this was almost all made up. Another question for Scaredy Squirrel: What is the proper length of time to play dead when someone asks you to clean your room? Answer (from scared squirrel): You should play dead for 1 hr. exact O.K. That book looks so cute. A friend of mine loves squirrels and I think maybe I should get it for him!